A good referee can play an important part in any wrestling match, but it’s a challenge to do so without bringing attention to oneself. WCW official Randy “Pee Wee” Anderson was one such referee, adding a subtle level of excitement to his matches, yet keeping himself in the background. Later in life, Anderson showed tremendous personal courage during his battle with cancer. Randy Anderson grew up in the small town of Rome, Georgia with a friend named Marty Lunde. Both were diehard fans of professional wrestling and joined their high school wrestling teams. At 119 pounds, Anderson went on to win the state wrestling title. 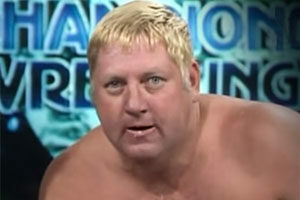 Anderson and Lunde attended wrestling school together, but Randy pursued a career as a referee as he was too small to wrestle professionally. Both men got their first break working in Mid-South Wrestling. 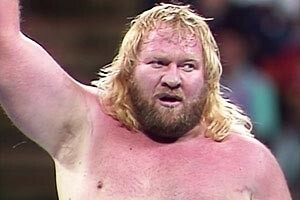 Randy would continue refereeing and Lunde would change his name to Arn Anderson, joining the Minnesota Wrecking Crew with kayfabe relative Ole Anderson and founding the Four Horsemen. 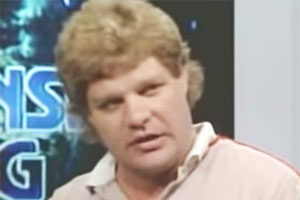 Randy Anderson’s reputation as a good referee led to Jim Crockett Promotions hiring him. When Ted Turner bought the promotion and renamed it World Championship Wrestling, Anderson stayed on. 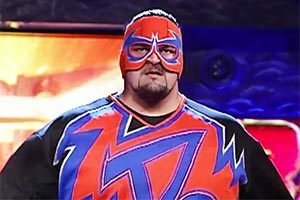 While wrestlers could protect themselves, they couldn’t always see a fan jumping into the ring. 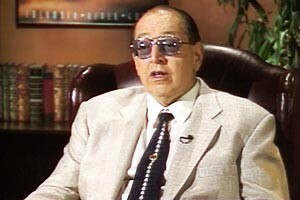 Anderson would referee some of WCW’s biggest matches, including the 1996 Bash at the Beach pay-per-view where Hulk Hogan turned heel and formed the New World Order. 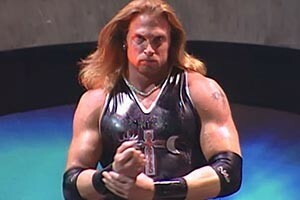 Anderson also participated in a memorable angle during the nWo’s battle with WCW. Anderson refused to join the nWo when they took over Monday Night Nitro. Randy Anderson defied nWo authority figure Eric Bischoff when he made the count during the Steiner Brothers vs. 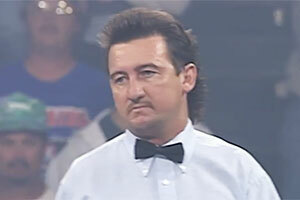 Outsiders match at 1997’s Souled Out pay-per-view after nWo referee Nick Patrick had been knocked out. 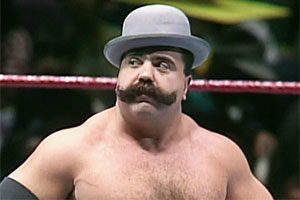 Bischoff would force “Pee Wee” to wrestle Nick Patrick for his job, with Anderson ultimately prevailing. In 1997, Randy Anderson discovered he had testicular cancer. He fought the disease courageously, enduring radiation treatment and the removal of one of his testicles. 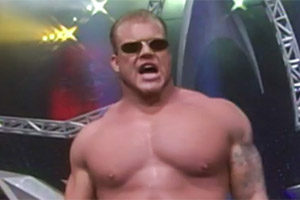 Randy Anderson retired from wrestling in 1999 as his testicular cancer resurfaced. On May 6, 2002, Randy Anderson died after his long bout with cancer. He was 42. Anderson was survived by his wife Kristy, and their two children – daughter Montana and son Chase. 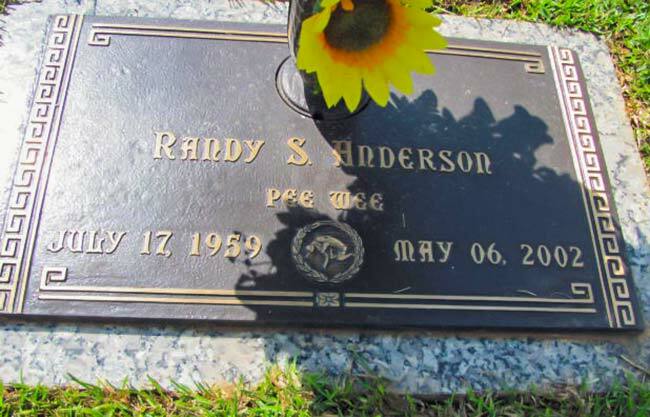 Randy is buried at Rome Memorial Park South in Rome, Georgia. We’ve profiled many other deceased pro wrestling referees, managers, and personalities on our list here. Have any memories of Randy Anderson? Be sure to share them in our comments section below.